WARNING!!!! 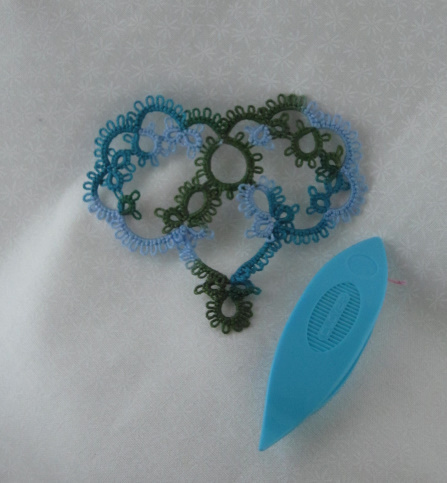 Natalie is out this week, tatting away like crazy so I am in charge of this week’s Challenge. 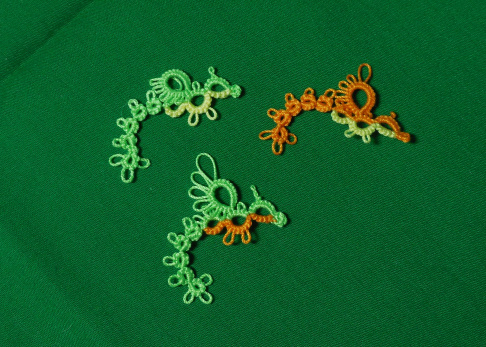 This week’s pattern is from Jane Eborall and is one of her yearly Tat it and See. The idea behind it is that you don’t know what you are making until you get to the end, unless you figure it out sooner. I did this earlier in the year and it was a lot of fun, especially when you are working with a magnificent pattern writer like Jane. The trick is NOT to look ahead. You will be tempted. You will think, just a little peek. Don’t, just do that day, Then move to the next. Since we are doing this late in the game, we do get the advantage of having all days available so we can work it all in one sitting if we wish. But work them in order, one at a time and enjoy the challenge. In order to finish this before the nest Wednesday Challenge, I am going to do 2 days at a time. After a few days I will set up another post so we can post pictures as we follow along. Lets get this started. I warn you, clear your day before you head out to Jane’s blog. She has no much information and free patterns you will look up and find out your whole afternoon is lost. I know from experience. Enjoy. 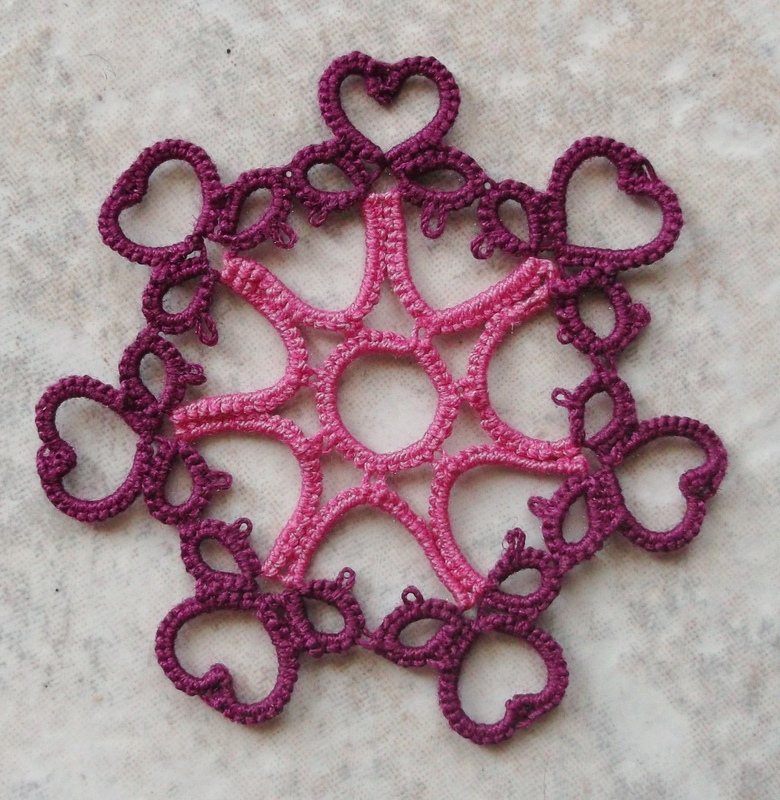 Challenge Accepted – Reader Submission for Weekly Challenge 14 – Snowflake Heart tatted by Marie McCurry in done in Lizbeth, size 20, boysenberry dk and azelea med. Challenge Accepted – Reader Submission for Weekly Challenge #12 – Tatted by Wanda Salmans. Challenge Accepted – Reader Submission for Weekly Challenge #13 – Tatted by Wanda Salmans. I love seeing new reader submissions! Thanks for submitting! What a month it has been….